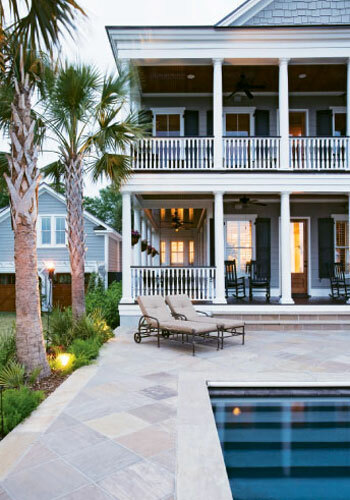 Wagener Terrace home he shares with his partner, Truman Smith, and just beyond the two of them, a sprawling swath of shaggy golden reeds separates the house from the slate-blue waters of the Ashley River. Thanks to an infinity pool that takes up most of the backyard, from this vantage, the lot verily falls off into the tidal scene. amenities but not clogged with an influx of visitors or traffic), history, and continual evolution. As for Truman, an Alabama native who moved here from Dallas four years ago, he’s amazed at how friendly Wagener Terrace (and Charleston in general) is. “There’s something nice about being in a smaller community—you always run into people you know; it’s more personal than being in a big city,” adds Truman, who oversees the Texas-based Posey Family Foundation, is president of the South Carolina Log Cabin Republicans, and serves as the board chair of Darkness to Light. In 2005, the pair embarked on something pretty bold for a couple new to sharing a zip code: they decided to build a house. “Our friends thought for sure we’d kill each other,” laughs Doug. But to them, it made sense; instead of Truman simply moving his things into Doug’s house, they wanted a home they could truly share. 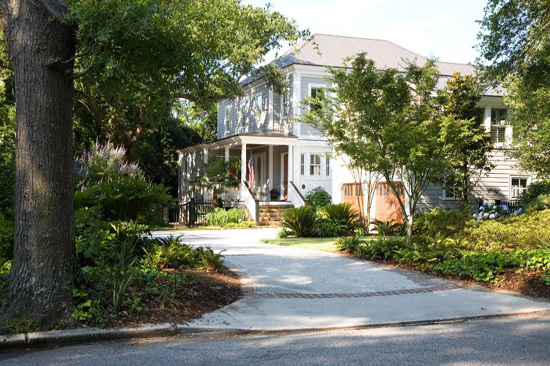 The couple stuck with Wagener Terrace, opting for a piece of marshfront land considered part of the “King’s Grant” property, which can be traced back to early Charleston land grants. 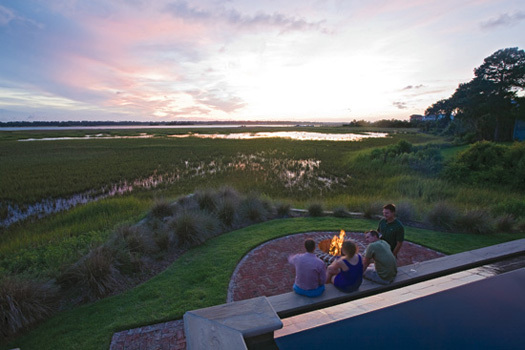 Though only about one-third acre of the triangular lot is suitable for building, that was enough for Truman and Doug, who found a house plan they liked by Beaufort’s Allison Ramsey Architects, tore down an existing 10-year-old garage-house, and had friends at Charleston’s Dufford Young Architects modify the plans to frame their singular slice of Ashley River waterfront. Along the back, an expanse of windows and doors—with minimal panes to provide unobstructed marshscapes—makes up the far wall. Beyond that, there lies a deep, wraparound porch littered with rocking chairs and settees that beg for sit-a-spell visits. 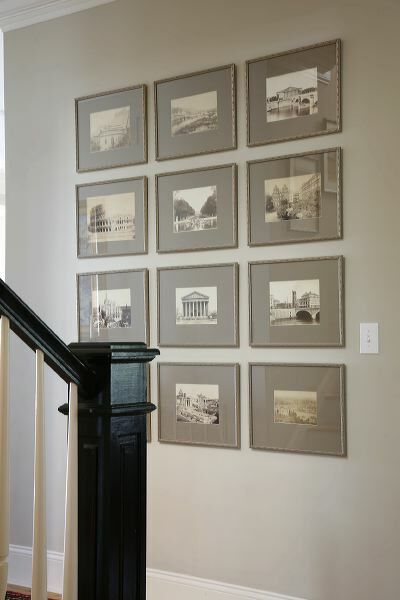 Upstairs, the pair sacrificed guest room square footage to add more depth to the master suite, which also sports a nearly unobstructed view over the Ashley and a porch with a hanging bed, known as “the best place to read in the house,” according to Doug. 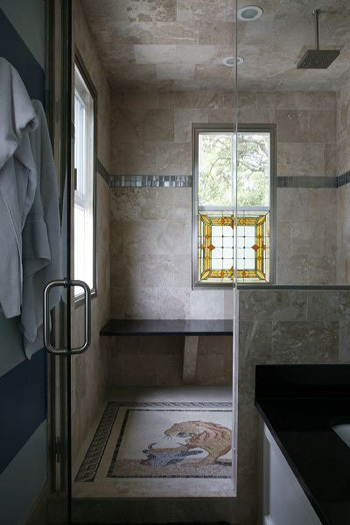 Toss in a spacious dressing room and a steam shower with a tile floor that mimics a mosaic pattern the well-traveled pair saw abroad, and it’s an enviable set-up. 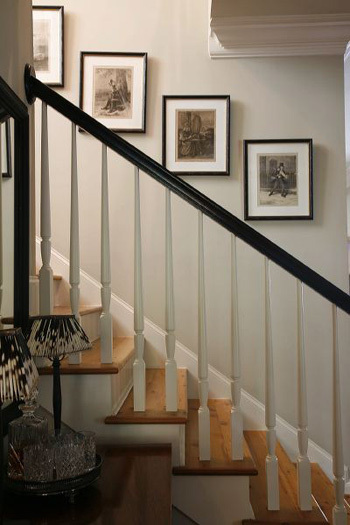 Interior designer and friend Carol Lund stepped in to help streamline their look, which features a neutral, masculine palette; dark wood furniture; hand-woven rugs; and natural materials like hides and leather. Building on a marshfront, riverside lot demands some savvy designing. Here are a few tips Truman and Doug picked up along the way. Make a mildew-proof miracle: Instead of haint blue on the porch ceilings, they stained the beadboard there and coated it with boat-quality varnish to protect it from mildew and to cut down on touch-ups. Keep it cool: Porch fans on the river side sometimes swing so much during windy seasons that blades break from smacking the ceiling. Tightening the suspension helps. Employ scare tactics: Birds love to congregate in the pool, but leave their mark with droppings and meal debris. Floating a few colorful beach balls on the surface has cut down on the problem since the ever-moving spheres act as scarecrows. 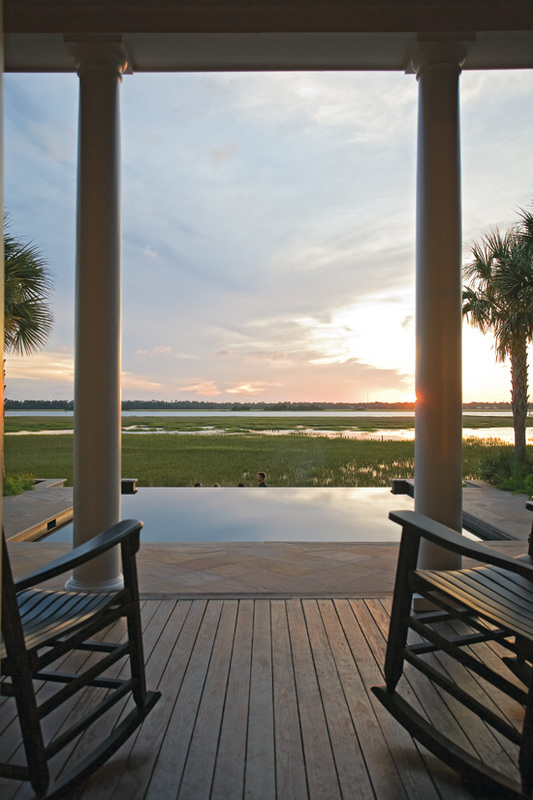 Maximize opportunities: Skipping panes on the porch-front glass doors provides unmarred views of the marsh and water. Purge pests: The near-constant breeze keeps the porch and house bug-free and eliminates the need for screens on doors and windows.